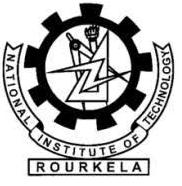 Full-time M.Tech./M.E. degree in Electronics and Communication Engineering/or in equivalent streams Or B.Tech./B.E. degree in Electronics and Communication Engineering/or in equivalent streams with a valid GATE score. Prior working experience in communication system design and development of statistical signal processing algorithms. photocopies of relevant certificates/mark sheets, publications etc.